Enter this Instant Pot IP-DUO60 Electric Pressure Cooker Giveaway for a chance to win this awesome Pressure Cooker. The winner of this Instant Pot DUO Giveaway is Kellie Trudel. Please look for an email from me in your email client. Please respond to me with your mailing information within 48 hours. Congratulations to Kellie! I’m so excited to be working with the wonderful folks at Instant Pot, on this Giveaway for the Instant Pot IP-DUO60 7-in-1 Programmable Pressure Cooker. This Instant Pot Duo is a terrific pressure cooker/multi-cooker. I am really thrilled that one of my many readers will have this opportunity to win the Instant Pot Duo, just in time for Thanksgiving, and the Winter holidays! One of my very favorite ways to use my Instant Pot Duo is to make great Thick Instant Pot Greek Yogurt. It is so easy to make delicious Yogurt with the Instant Pot DUO60! Click the photo to see my Step by Step instructions and photos to making perfect Yogurt, every time. 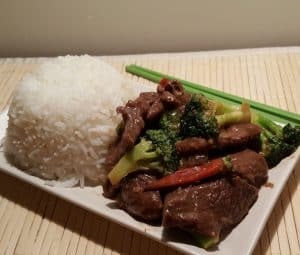 Check out my recipe post on how easy it is to make delicious Chinese Take-Out Beef and Broccoli WITH RICE, all at the same time in the Instant Pot, for a One Pot Meal! For a chance to win an Instant Pot IP-DUO60 7-in-1 Programmable Pressure Cooker, please leave a comment on this post down below and “Like” my This Old Gal Facebook Page, before Thursday, November 10 2016 at 5:00 p.m., Pacific Standard Time. Share this Giveaway on Social Media and then leave a comment below letting me know how it was shared. Subscribe to This Old Gal via email. “Like” my This Old Gal Facebook Page. Join my This Old Gal Facebook Instant Pot & Pressure Cooker, Cooking Group. This Giveway allows Four (4) entries per person. Please leave one comment per entry. The Instant Pot IP-DUO60 Electric Pressure Cooker Giveaway is open to all residents of the United States and Canada. Double check to be sure that your correct name and email address is included with your comment(s). Winner will be chosen randomly and notified by email. You will have 48 hours in which to respond to me, before a new random winner is chosen. 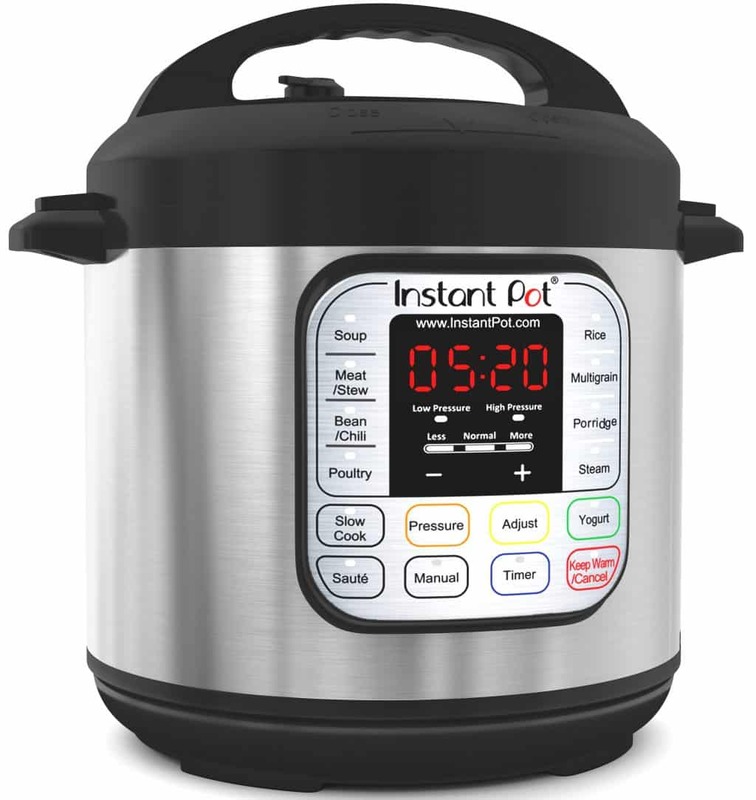 If you can’t wait to see who wins and/or want an Instant Pot right now, click here to your $50 Off Coupon Code off of any Instant Pot DUO directly from the manufacturer. Instant Pot is the #1 best selling Pressure Cooker on Amazon. If you don’t have an electric pressure cooker, consider getting one! It is nothing like the old Stove Top Pressure Cookers. The Instant Pot is safe and easy to use. Instant Pot has safety features built in. You cannot open the Instant Pot, unless all pressure has been released. 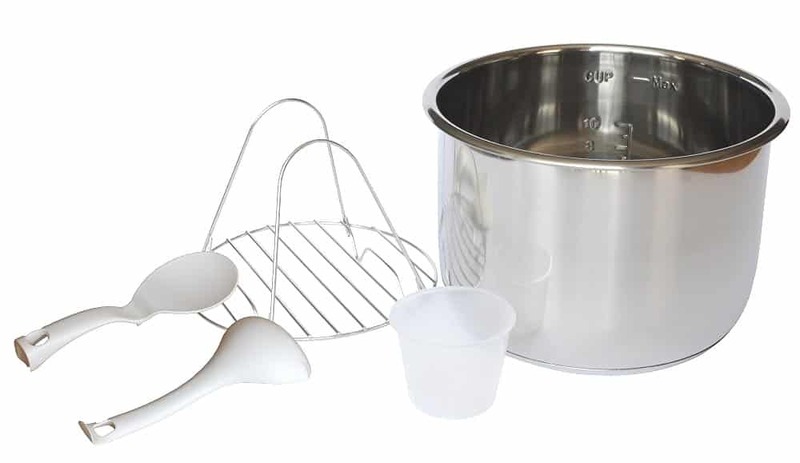 If you need some help cooking, come join my This Old Gal Facebook Instant Pot & Pressure Cooker, Cooking Group and connect with me. Good luck from This Old Gal! yes, yes please! I am new to this and am loving it! I don’t have one, and would love to have one. I think it would be fun cooking in it! I love my instant pot! I will have to check out your recipes. I want to win that IP. I would love to win this Instant Pot so I could cook up some of the delicious foods that others are sharing here on this wonderful site. I would love to win this Instant Pot so that I could cook some of the wonderful recipes that have been shared on this site. I have heard rave reviews for the Instant Pot. Hope I will be lucky!! i love the new york cheese cake and i need an instant pot you rock this old gal!! Entered three of four entries! I’ve always wanted an instant pot, they look so functional and convenient. Liked This Old Gal FB page! Can’t wait to try this Instant Pot!! This is AWESOME! Great Giveaeay!! You guys thanks this old gal.. Instant Pot looks so functional to help cook hesllthy meals in such a busy world! Thank you!! I joined this Old Gal cooking Group! Looks fun! Instant Pot is the way to multi task! I would love to win. Thanks for the chance.I am the only one in my family that does not have one. joined This Old Gal Facebook Instant Pot & Pressure Cooker, Cooking Group. Liked This Old Gal Facebook Page. I hear daily about the magic kitchen cooker/clean up saver. And I need this positivity in my life, it’s lacking magic…… Until I receive/get and instant pot. I have liked your FB page, joined your group and subscribed to receive daily recipes. I spent over an hour browsing recipes and saving some to Pinterest. I have also browsed through the accessories listed on your site and have decided to add to my accessories! LOVE your site! I have been a member for a while. Would love to give it to my mother in. Absolutely love TOG! She has changed my life! Keep up the great work, you are so appreciated.